Being underwater is a ton of fun. Being inside things that are under water can be even more fun. Seeing the galley or crew quarters inside of a World War II-era shipwreck, or unique clay banks deep inside an underwater cave is an awesome experience. The risk of not having a direct ascent is the same regardless of the environment. A simple problem that’s easily remedied in open water can be a serious problem when inside a structure, cave or wreck. Let’s take a look at what sets these environments apart. 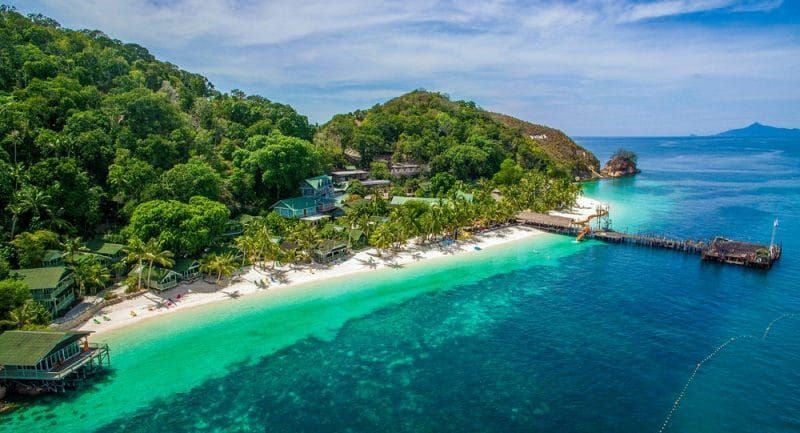 Caves and wrecks offer the same general hazards for the scuba diver: That is, no direct access to the surface, crucial navigation and gas planning requirements. Wrecks are more notorious for the hazards of rust, fishing line and cables. These entanglement and entrapment hazards are unique to wrecks as they deteriorate significantly faster than most cave environments. Caves are not safer for entanglement and entrapment hazards though. While fishing line and cables don’t pose a risk in most caves, cave rock can be extremely sharp in some parts of the world, and being stuck against solid rock is less forgiving than rusted metal. A major difference in cave and wreck environments is the distance traveled. It’s not uncommon for a cave diver to swim 600 m/2,000 ft into a cave system, a round trip of 1,200 m/4,000 ft. Wreck penetrations, even the long ones, are typically much shorter. Longer wreck penetrations off more twists and turns than typical cave dives, as sunken ships aren’t conduits for waterflow, they’re conduits for people flow and storage. There are cave dives that require boats and wreck dives that are shore entries. Cave dives that are comfortably warm and frigid cold wrecks. Both can offer current, deep depths and even wildlife interactions. Some caves require proficient line work and dry caving skills. With all that in mind it’s fair to call the wrecks and caves equal in terms of harshness of logistics. A diver can get lost in both caves and wrecks. Navigating in zero visibility or crystal clear-water without a reference is not a situation any diver wants to be in. Using a guideline properly is the best method for a “no thought” process of exiting overhead. Proper guideline use includes where to run the line, but more importantly, where not to run the line. Avoiding line traps, awkward following paths and sharp metal ensure that the line can be followed in zero visibility. That is the entire point of running line. Wrecks typically have closer and more plentiful exits, which is why it’s popular to not run line as often. Many wreck penetrations are just long swim throughs, with a clear exit on the other end. An experienced wreck or cave diver will tell you without hesitation that you never trust an exit unless its verified. So, what’s the take away? While one is gnarly twisted metal and the other ancient worn rocks, both environments offer similar hazards. They both are well worth the training to experience, and can stun divers with challenges and views. 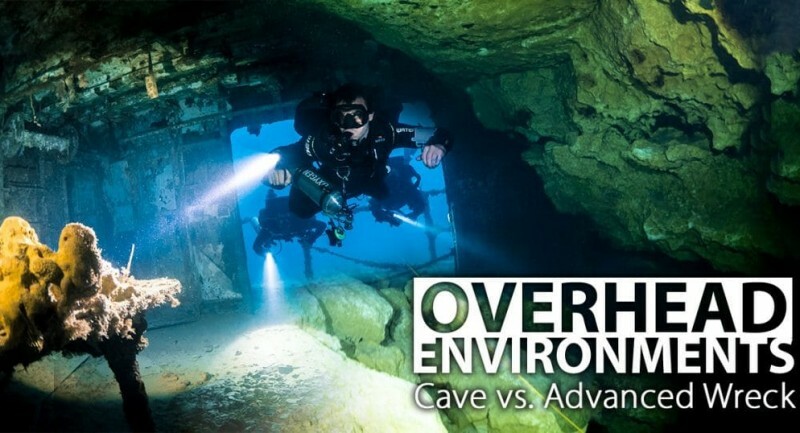 Are you ready to move into to cave or advanced wreck diving? Check our Intro Cave Course here and our Advanced Wreck Diving Course here! Great article. I love Cave diving and exploring.